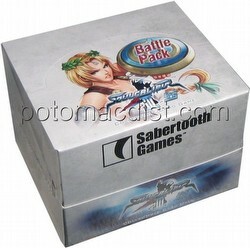 Each $48 box contains 4 battle packs. Each battle pack contains 120 cards. Each battle pack box contains 4 battle packs. 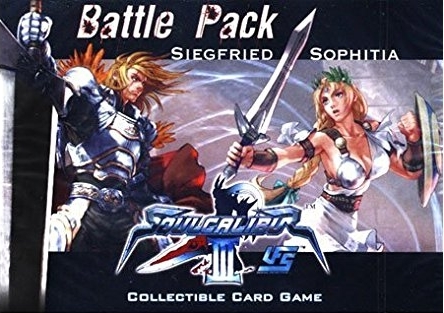 Each battle pack contains two 60-card preconstructed starter decks featuring Siegfried and Sophitia's weapons and signature moves.